The Rosewood Sand Hill is an elegant getaway loved by Silicon Valley’s residents and entrepreneurs. 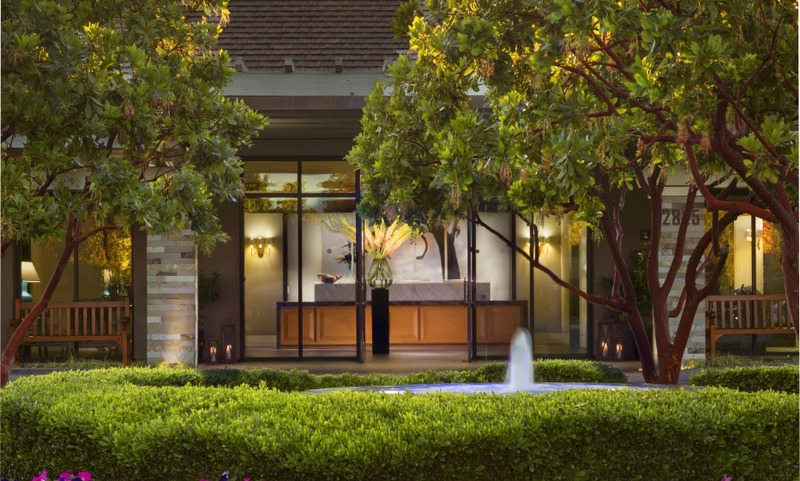 Filled with contemporary art from local artists, and home to the culinary delights of the Michelin Star Madera Restaurant, the Rosewood offers decadence, excellent service standards and the poetry of Menlo Park Bay’s landscape for its guests to enjoy. One of the superior hotels in California, a stay here is close to perfection. All guestrooms have terraces or patios with stunning vistas of the Santa Cruz Mountains and gardens. Amazing cuisine and an award winning wine list at Michelin Star Madera Restaurant. Sense Spa offers 13 treatment rooms and an array of personalized services inspired by local traditions and abundant natural resources. Complimentary access to state-of-the-art fitness center & outdoor heated pool.